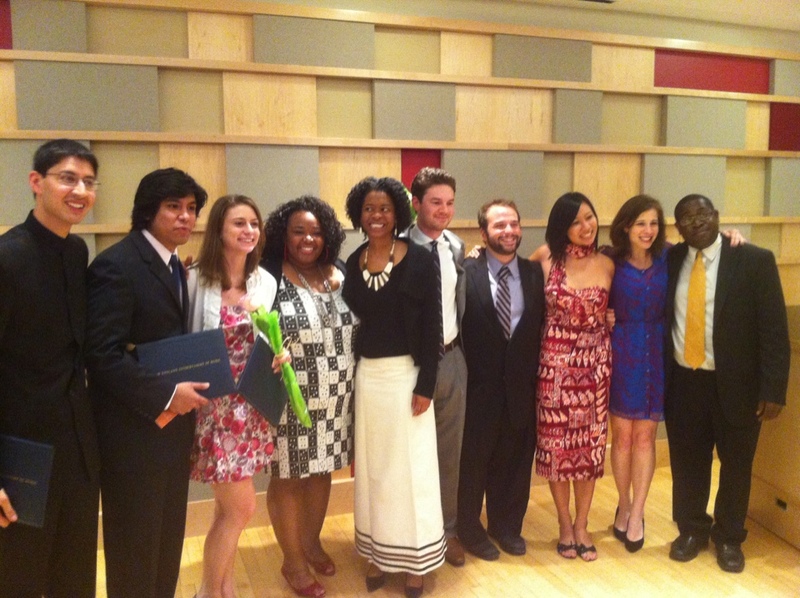 The 3rd class of Sistema Fellows graduated from New England Conservatory today. With family, friends, Friends of the Sistema Fellows Committee members, NEC Staff and former Fellows in attendance, the 10 Fellows were presented with a certificate of completion. The first two sets of graduates of the Sistema Fellows Program at New England Conservatory (previously called Abreu Fellows)—the classes of 2010 and 2011—are now developing El Sistema–inspired programs throughout the United States. The Class of 2012 is on the verge of following in their footsteps. Next IndieGoGo $10K Goal Reached! !